1. Declare the event at least 7 days prior to the event. Though a single matchup doesn’t need to have a name, great event names are a plus and are entertaining for the record keeper. At a minimum, a schedule includes all the matchups, the chronological order in which those matches will be played, and the date of the event. Extra info such as times, court assignments, and Officiating assignments would be pluses. Include any scrimmages or JV/Seconds/B team matchups as necessary. It is known that circumstances occur that might change a schedule, whether that be a team dropping out the day before or new challengers appearing. The spirit behind this policy is to post schedules prior to the event. If a schedule is posted in less than 7 days, please include the reasoning for doing so. At the conclusion of a Match, the Head Official is responsible for submitting the box score to the League. After checking the submitted data with the rest of the Officiating Staff, and then with the respective team Captains, he or she will submit the official results to the League. It is preferred that this be done as soon as possible. If the Head Official fails to submit the results, it falls to the event Host to submit the full results within 48 hours of the conclusion of the Event. Include any JV/Seconds/B team matchups and designate accordingly. MACOMB-Spencer: WIU def EMU 3-2 OT in the Western Open. It is necessary that results are posted in chronological order, and include the winner/loser, the score, and if OT occurred. Results can be submitted in bulk. At the least, submit them in a single thread. Any Injuries incurred during the match must be reported by the Officiating Staff, in addition to the Results. In addition, the injured player’s Team must also submit a written report of the injury to the League email. Most schools have a specific injury report for these situations. The League email can be CC’d on these reports in order to help cut back on the extra paperwork. If there are other follow ups, those would be valuable to know. Generally: minor bloody hands, bloody fingers, scrapped knees, or minor finger/joint jams do not necessarily necessitate Injury Reports. The Official and Team should use their best judgement in if an injury is minor enough. 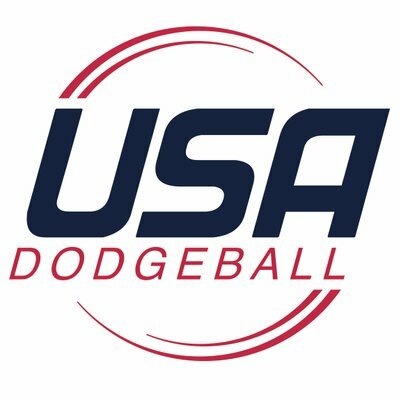 If an injury occurs during practice, dodgeball night, or any other event related to dodgeball play, it should be reported. The League has a recorded simple timetables for match analytics and point duration data. Every Officiating Crew should be able to note when on the clock a point was scored and by who, who/when for timeouts, and who/when/what for any cards, penalties, violations, or injuries. An official can record a line item while the other 3 officials reset the balls for the next point. Example timetables from the 2016 October DUI. Referees must report Red/Yellow Card penalties to the League in order to keep track of sportsmanship concerns. Records relating to carded players will not be made available to the General Public. Any other issues in the match, that are deemed important, should be reported along with any of the above. This is especially true of any rulebook conflicts. Publishing to a team page is not sufficient because of notification reasons. It shouldn’t be our job to track results down. Previous knowledge of events is essential for the League to promote the event with enough time to spare, and for the League to accurately record the results by comparing submitted box scores with an existing schedule. The main point of this policy is to ensure that matches are played in a straightforward manner. If two teams agree to play an official match, after the match they cannot agree to consider the match a scrimmage, or cancel the result. As a bonus, a published schedule is useful when investigating forfeit requests. Forfeits are not automatic (see policy in the Bylaws). The Executive Board will resolve any disputes, providing an inquiry or Grievance is submitted to the League.